Looking for the best curtain, blind and drapes cleaners in Melbourne and around 150 KM surrounding Melbourne? Call Rich Cleaning and experience professional cleaning at a right price. If you need quality service then you should talk to our customer service staff today! We provide our service across Melbourne so whether you are located in the city, southern, northern, eastern or western suburbs of Melbourne, we got you covered. We have a team of professional local cleaners to help you get the best result. Unlike other services like carpet or duct cleaning, curtain or drapes requires very high-level skills with proper knowledge about the fabrics and cleaning technique to ensure quality steam or dry cleaning is done. Please note that unskilled technician may shrink the size of some curtains and it may look odd. Some fabric may naturally shrink after steam or dry cleaning and a professional cleaner will advise you before starting the work. Before you hire a cleaner in Melbourne, read their reviews online talk about it when you make a booking. Curtain cleaning is a challenging task and don’t fall into the trap of cheap cleaning quotes. Curtains are expensive and last for many years, don’t risk ruining them by using an ordinary cleaner. Curtains are an important part of your home decor and not only they provide an amazing look to your living or bedroom but also protects from bacteria and germs and lets fresh air in your house. Curtain generally looks in pretty good condition for years but it may get dirty naturally and you may not notice it and therefore it is very important to get it cleaned periodically. If you are allergic to certain kind in the air then it is even more important to consider your curtains are good condition. We all know curtains are not cheap and you invest a good amount of money to fit into your home but if you will not maintain well it will not last long. If you would like to stay healthy then consider your curtain and drapes to be cleaned regularly to protect against mites, dirt, allergens and more. How much does curtain cleaning cost in Melbourne? This may come to your mind if you would like to get your curtains cleaned. The answer to that is, it depends on the length of the curtain, build material and also if any additional services need to be done like cleaning head or blinds etc. The best way to get the price of curtain cleaning is by calling our customer service line and explain your situation. If you may have a bigger house with more curtains then we also offer an onsite inspection where call out fee applies. Rich Cleaning is a top rated cleaning company based in Melbourne with high-level customer satisfaction. 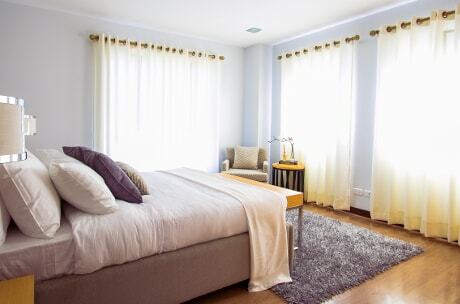 If your curtain is dirty, smells or is stopping the fresh air getting in then you should consider getting it cleaned. With years of experience, we understand the different curtain fabrics and we clean them accordingly. We maintain the highest level of transparency so don’t hesitate to ask any questions you may have. And we don’t just do the cleaning, our aim is to help the people of Melbourne stay healthy. We provide a range of other cleaning services - check out our cleaning services page for more information on this. You can easily see the difference between a quality curtain clean and an ordinary one. At Rich Cleaning we maintain a very high cleaning standard. 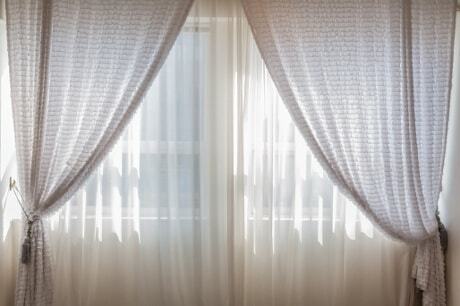 Your curtains will look a lot cleaner after the dry or steam clean. You can expect improved hygiene as it will let clean and fresh in your rooms. If you may have breathing or health issues then well-cleaned drapes can help you stay in tip-top shape. With proper sanitation, you can expect better fragrances in your home. Curtain give your home a finished and classy look and people tend to go near a window to get some a fresh air or to relax and enjoy the views. 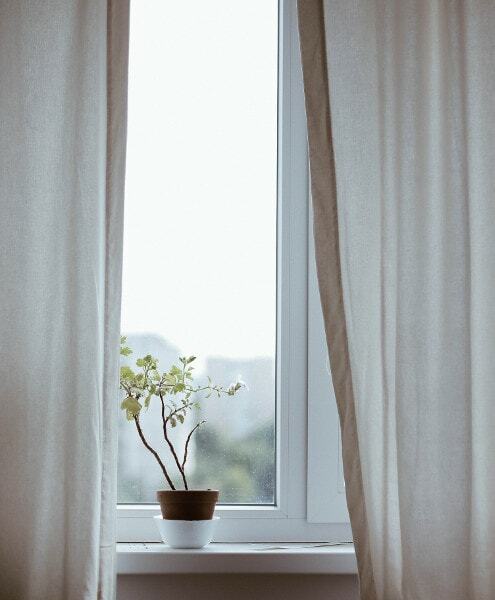 Fresh air is good for your health and in order to maintain your best health, it is very important to ensure your curtains and drapes are in good condition. For all cleaning need, we go to the customer’s place with required tools and machine to provide a quality onsite cleaning experience. If the prior inspection is not done then our technician will first do a proper inspection and may provide you with a modified quote depending on the cleaning need. The technician may advise you about the time it may take to dry as it depends on weather and other factors. After the approval, the technician will carry out required cleaning and may show you before and after photo. Please note that machines are power operated and it is very important to ensure you have power available in your premises. Depending on the level of dirt you may notice shuttle or big difference after the cleaning is done. We guarantee the best quality cleaning service. If you have a stain on your curtains then let our staff know about it so that you can get a more accurate quote. Our team has been producing amazing curtain stain removal over years with high level of customer satisfaction. Even though we have a high success rate, it is important to note that not all stains can be removed 100% and it is hard to say about the outcome over the phone. In some situation, our technician may advise you at the start about the possibility. After the cleaning, you may choose to get deo done to get the best fragrance possible.